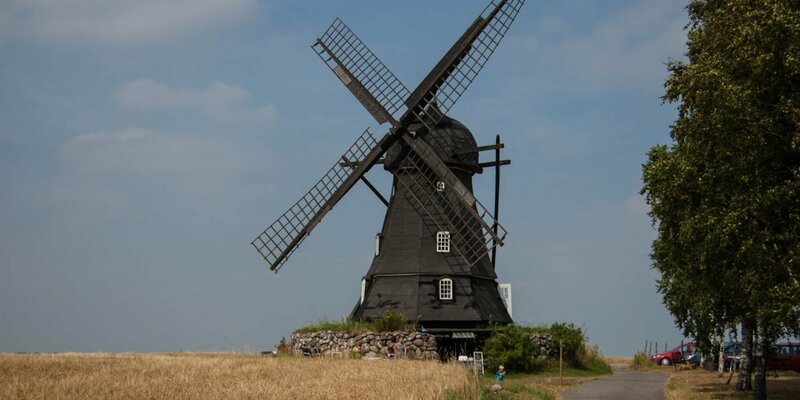 Kronetorps Mölla is the largest windmill in the county of Skåne and one of the largest in Sweden. 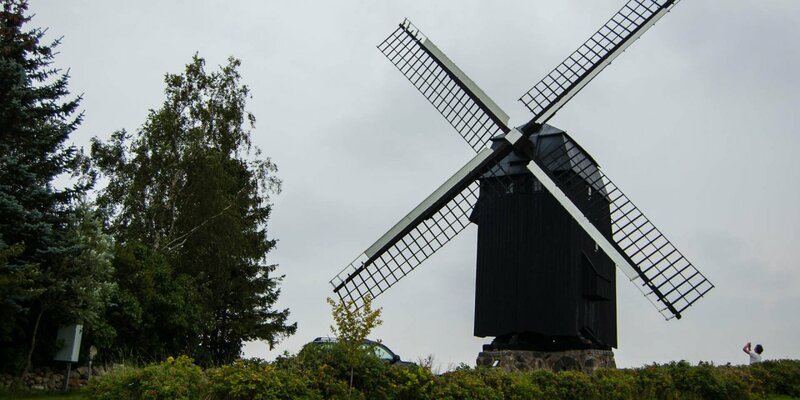 The mill can be seen from far away because of its location on top of a small hill about 2 kilometers east of the village Arlöv. 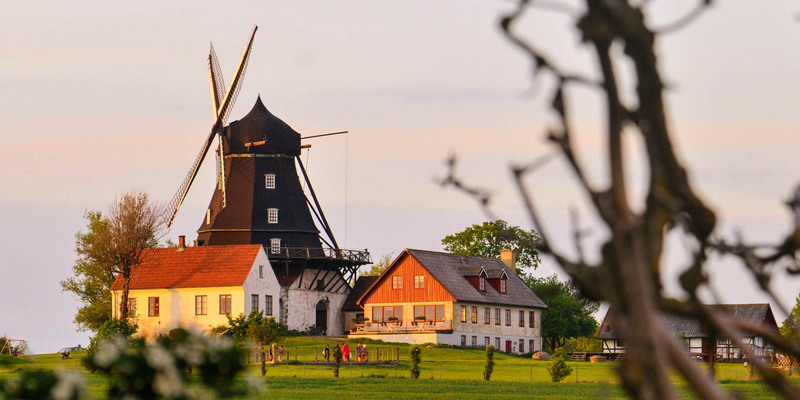 The mill was built in 1841 and Kronetorps Mölla was declared a monument in 1971. It is a smock mill with a brick basement and a surrounding gallery, from where the mill head and the brake can be used. The actual mill body consists of a multi-storey wooden structure housing the three stone floors and the rest of the mill equipment. The courtyard next to the mill are the former residential and farm buildings of the mill yard. They originate from the same time as the mill itself and are also listed buildings. The total area is owned by the municipality Burlöv since 1976. 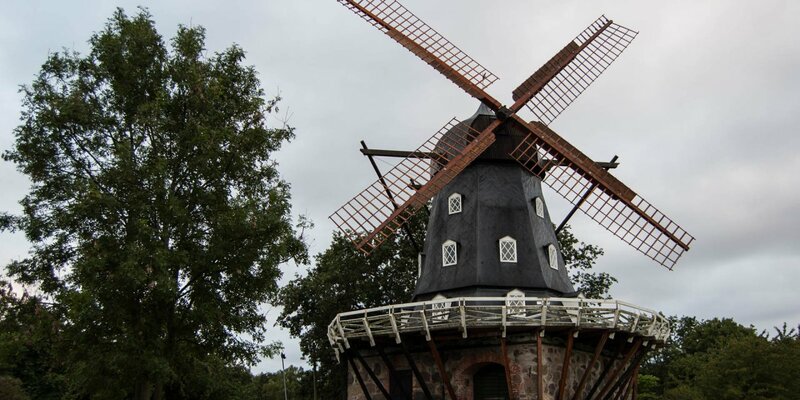 The mill club of Burlöv is responsible for maintenance of the mill and buildings. Located next to the mill there is the summer café Nya Villan, which is open during the summer months every Sunday afternoon. During the opening times of the café there are guided tours through the mill, and when the wind cooperates, the mill is put into operation. At the annual Mill Day, on the 1st Sunday in July, craftsmen shows their products at the mill yard. There is music, folk dance performances and typical food such pancakes from Skåne.